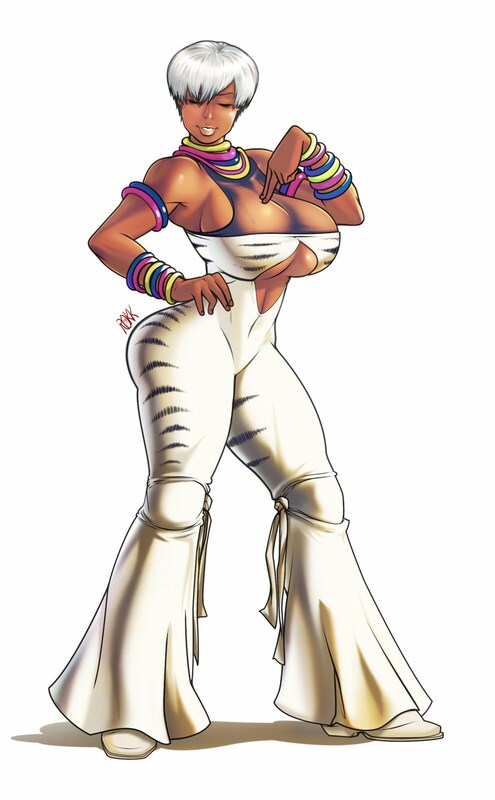 I had an invitation to do a costume of one of my favorite Streetfighters in a new outfit. At the time, all I could think was how much I wanted to draw a new Elena. Wanted something flashy but still classic looking. The bell bottom thing fit with her dancing theme and I just went from there.